Tried to Implementing a change but getting error (Installation failed. 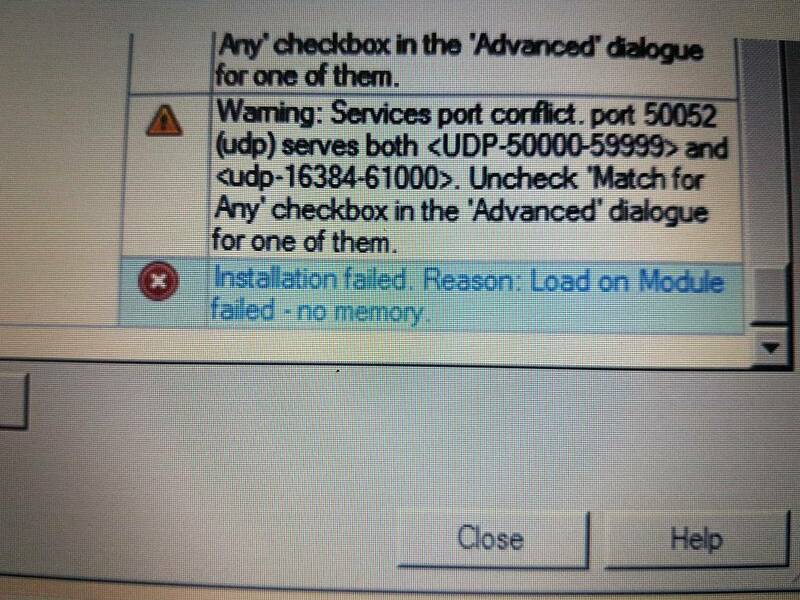 Reason: Load on module failed - no memory). Checked the logs and found high CPU errors, but blades didn't show an abnormal load. I reboot the blade 1_1 using 'asg_reboot -b 1_1' . Issue got resolved. But temporary. This is a rather generic error message indicating that the firewall could not complete the atomic load of the policy into the kernel for some reason. It could be due to lack of memory on the gateway, but not always. The list of possible causes is rather long, you'll need to go through sk101875: Policy installation fails with "Load on module failed - no memory" error . We see this quite often, mostly on reasonably busy firewalls, when we do the install during low traffic moments, it mostly finishes just fine, otherwise check the uptime, when the firewall is pushed on a daily basis it will be happening more than with a gateway that is pushed once a month. Other point we have noticed with this, the more blades are enabled the quicker it happens. We have firewalls with only IPS enabled that never gives this error, we also have firewalls with all NGTP blades enabled and there we see this issue quite often. Longer uptime can also cause the issue and rebooting the gateway will resolve the issue. When you need to do so also look at installing the latest Jumbo. Installation failed. Reason: Load on Module failed - failed to load Security Policy.